However, I am a Christian and believe one should develop mind, body and soul to be a better person. Whereas, it seems chi kung and meditation divert more into Buddhism. Do you think I could still learn and practice chi kung and meditation and benefit from them without mixing both religions? Definitely you can learn and practice chi kung and meditation and benefit from them without mixing Christianity and Buddhism. Many people did, have done, are doing, and will do that. Many Shaolin and Taijiquan masters expert in chi kung and meditation were, and are, pious Christians. Due to history and culture, some people mistakenly think that chi kung and meditation are Buddhist or Taoist practices. Similarly some people in remote parts of Asia mistakenly think that all those who speak English are Christians! As many of their early practitioners were Buddhists or Taoists — just as many of the early Christians who came to Asia were English speaking — it was easy to make the mistaken connotation. Actually chi kung and meditation were practiced by the early Christian Fathers in classical Europe, although they did not call the practices “chi kung” and “meditation”. Faith heeling by Christian priests, which was a major form of medical treatment in Europe during the Middle Ages was a form of chi kung. Reflection on God, which was a major part of training of Christian monks, was a form of meditation. Chi kung and meditation are non-religious. People of any religion or no official religion can practice and benefit from them without distracting from their religion. On the contrary, many people have become more pious in their own religion after practicing chi kung or meditation because their practice confirms for them by direct experience the validity of some of their beliefs. For example, in deep moments of Standing Meditation in my Intensive Chi Kung Course when they personally experienced tremendous joy as they felt their spirit expanding, many participants suddenly realized the beauty and majesty of God. The above is taken from Question 7 of May 2003 Part 1 of the Selection of Questions and Answers. This entry was posted in Buddhism, Chi Kung, Christianity, Grandmaster Wong Kiew Kit, Kung Fu, Religion, Shaolin, Shaolin Wahnam, spiritual cultivation and tagged Buddhism, chi kung, Christianity, Grandmaster Wong Kiew Kit, Kung Fu, religion, Shaolin, Shaolin Wahnam, spiritual cultivation, spirituality on November 13, 2018 by Wei Joo Lee. The big irony is that many martial artists are unhealthy and are unable to defend themselves. Here Evelyn and Sifu Leonard apply Shaolin Kungfu in combat. “The big irony is that many martial artists are unhealthy and are unable to defend themselves despite spending many years training a martial art! Not only they injure themselves in free sparring and their injuries are routinely left unattended to, the way they train is usually detrimental to both their physical, emotional and spiritual health. Many people may be surprised at my statements that many martial artists today cannot defend themselves. If they can, they accept being hit and kicked for granted as part of their training.” — Quoted from Grandmaster Wong’s answer. Of course one should avoid being hit altogether. That is the main purpose of practicing an art of self-defence. That is also the main reason why I said people who freely exchanged blows in free sparring were not learning a martial art though they thought they did. How does one avoid being hit? That is what he learns in a martial art, any martial art. Thee are two categories to accomplish this. One category is to ward off the attack. There are many ways of warding off. Blocking an attack as described by you where your arm become sore or bruised is third-class. In first-class warding off you use minimum force to overcome maximum strength. The second category of avoiding hit is to dodge the attack. There are also many ways of dodging. You will learn these first-class responses to avoid being hit in the Intensive Shaolin Kungfu Course or the Intensive Taijiquan Course. Having your arms sored or bruised from blocking is a poor way to toughen your arms. It is more likely to weaken your arms than to toughen them. A sore or bruised arm is painful and injured. Pain and injry weaken a person, not just his arms. There are many excellent methods in our school for strengthening arms. Some examples are One-Finger Shooting Zen, Golden Bridge, Separating Water, and even Grasping Sparrowâ€™s Tail. The uninitiated may wonder how these exercises, especially Grasping Sparrowâ€™s Tail, can strengthen arms. Not only they do, they are excellent â€“ if practiced correctly. Please take note that toughening, in the sense of conditioning, may not necessary be strengthening. If you punch your fist onto a wall, for example, you may toughen or condition your knuckles, but may not necessary add power to your punch. Hence, when we practice Thirty Punches, which is an exercise to increase power of the punch, we punch into empty space, and not onto a sandbag. I would like to continue to strengthen my stances. I can see the difference between someone who knows many forms but wobbles on their legs and someone who has powerful stances but few forms. What would be the you-wei and the wu-wei of horse stance? Right now I try to imagine my self relaxing and letting my chi sink to my feet. I can tell when I get tense that it rises up to my torso and chest but if I relax I can sink it down and hold the floor with my toes better. Stances are very important in kungfu, and their benefits are transferred to daily life. Stances develop internal force and mental clarity. The “you-wei” part of stance training consists of two steps. The first step is to get the poise correct. In the Horse-Riding Stance, for example, ensure that you are upright. The second step is to relax, relax and relax. The “wu-wei” part is to be spontaneous. Don’t think of anything, including not imagining yourself relaxing and letting your chi sink to your feet. Just spontaneously remain upright and relaxed in your stance. 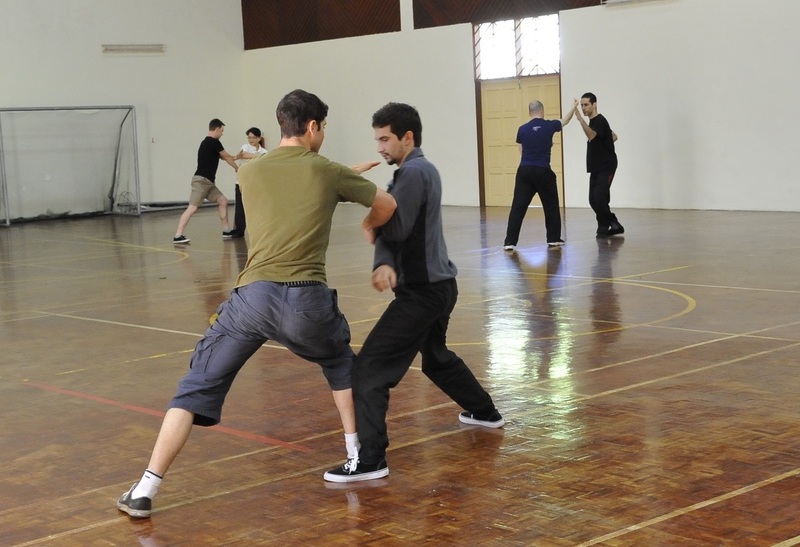 Stances are very important in kungfu training. 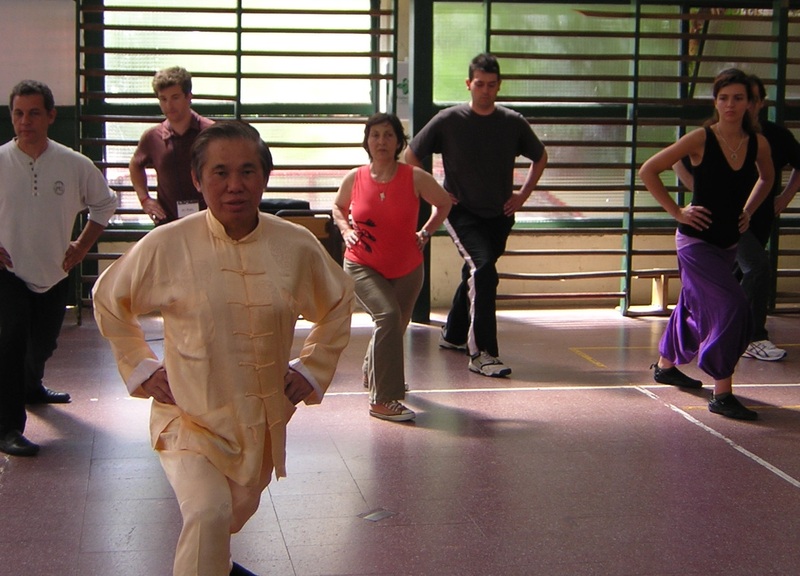 Grandmaster Wong showed the importance of waist rotation in a Bow-Arrow Stance during a kungfu class in Madrid. My wonderful girlfriend told me that she wanted to fast during Ramadan this year. She told me it was all about discipline and being spiritual. My initial thought and feeling was concern when I heard this. Personally I know little about Ramadan but I don’t see the spiritual side to forcing oneself to stay off food. Of course I could be wrong. Should I be concerned here? I always want to support her in whatever she wishes to do but I also want her to be safe as this is my natural instinct to protect her. Rituals of any religion help practitioners to practice their faith and thus purify their spirit. If a practitioner has strong spiritual roots, like a Zen monk, he may not need rituals yet attain high spiritual levels. Fasting during the month of Ramadan also purifies the body, which contributes to purification of the spirit. If your girlfriend understands these deeper meaning, fasting during Ramadan is good for her. On the other hand, there are religious fanatics who follow religious rituals but act in a way God or whatever term the Supreme Reality is addressed asks his followers not to do. If your girlfriend wishes to fast, ask her to prepare herself if it is the first time she attempts it. Her body needs time to adjust to fasting. Fasting demands discipline, and is spiritual as it purifies both the body and the spirit. It is natural that you are concerned for her. A good approach is to tell her the significance of fasting and let her make her choice. As she is not a Muslim, she needs not fast the whole month of Ramadan, or during part of it. She can fasts for any day or two to make some adjustment and preparation. I have been very lucky to spend time with a Hoong Ka master, and he emphasizes a lot of Asking Bridge to develop sensing skills for sparring. Whenever I spar with him and some of his senior students, their sensing skills are such that he is often able to simply “slip” out of my attempts to tame or close his hands unless I have superior force and chin-na. The Hoong Ka master defeated you because of skills and not because of techniques. Even if you use other techniques, he will still be able to defeat you. This does not mean that techniques are not important. When he slips away, you can strike his retreating arm, or kick his leg. You can also improve your skills of “bridging gap” and “follow-through”. When he tries to escape from your taming or closing hand, you “follow-through” with your taming or closing hand, and bridge the gap of his retreat. You should spend some time practicing on your own before applying the skills on your opponents. You can also increase your internal force and learn some sophisticated chin-na techniques. You can find a lot of chin-na techniques at http://www.shaolin.org/video-clips-3/chin-na/sequences/overview.html . 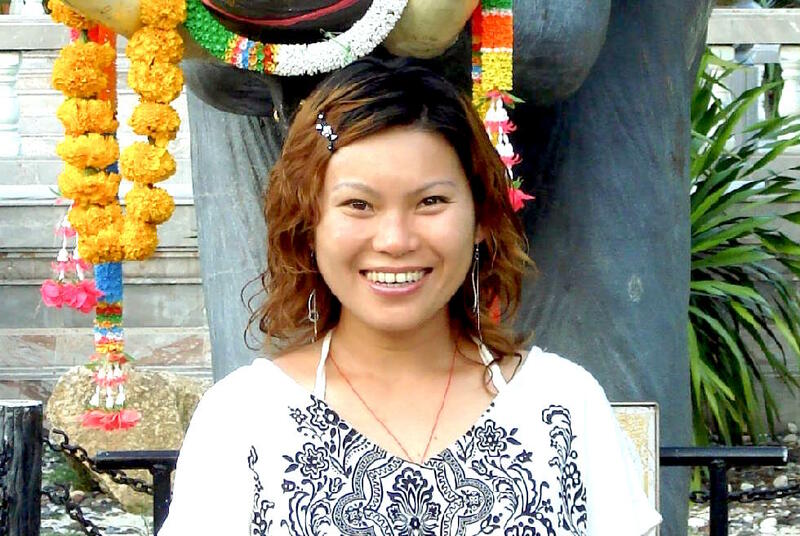 As you did not attend the Special Chin-Na Course in Sabah, you should attempt only one or two of the simpler techniques. My attempts to simply close someone with a taming or pressing palm are generally defeated by my sparring partner simply turning their body into the Unicorn Stance or retreating if they have superior footwork to me. Is there an aspect of taming/closing an opponent that I miss, or should all attempts to tame or close an opponent use chin-na to “confirm” the taming/closing? No, you have not missed the basic techniques of taming and closing, though you may not have learned sophisticated techniques of following through, like using chin-na to subdue your opponents. But you attended the Baguazhang course at the UK Summer Camp. There are a lot of techniques and tactics you can use from the Baguazhang course to defeat your opponent when he turns aside into a Unicorn Step or when he retreats. When he turns aside into a Unicron Step, for example, you can employ your Baguazhang footwork to follow his turning and strike him, or you can go to the other side and fell him from behind. When he retreats, you can rush forward, but taking care of your own safety, and push him off the arena, or you can jump forward with “Wild Crane Kicks Leg”. It is not necessary to use chin-na to confirm taming or closing, but for one trained in chin-na, it is an excellent way to subdue opponents. When a chin-na master wishes to apply a chin-na grip on his opponent, it is unlikely the opponent could escape. There are two main approaches. One is to avoid his sensing skills. Using kicks, for example, is a good tactic. Instead of having arm contact, you can kick at him. The other approach indicates the hallmark of a master. Change his sensing skills, which are his strong points, to his weakness. Chin-na and dim mak are excellent in this respect. Another situation that I run across in sparring is sparring partners who have a lot of muscular strength. My usual tactic is to “borrow” my sparring partner’s force and use soft counters to conserve my energy and to guide their force away into emptiness so that I can set up a decisive strike, mainly using Baguazhang strategies and movements from the Swimming Dragon set and adding a Baguazhang “flavor” to the Hoong Ka I am learning here. Dim mark is excellent for overcoming opponents with a lot of muscular strength, but you need to learn dim mak at a course from a master willing to teach you. Many kungfu styles are well-known for the smaller-sized to defeat the bigger and stronger, and Baguazahgn is one of them. You can use Baguazhang techniques and tactics to get to an opponent’s side or back to strike him. Sometimes, however, my sparring partners will “lock up” with a lot of tension and will not “give” me any force to work with, and I find that very difficult to handle. I can handle the situation usually with a combination of superior agility (getting to their sides or back, or simply feinting and striking a different body part) and stamina (simply outlasting their muscular tension), but I do not know if there is a better way to approach this sort of situation. Don’t use force against force if your opponent is physically stronger. All the methods you mentioned are excellent. You can get to your opponent’s back to fell him. Don’t fell him with brutal strength. Off-balance him, and he falls easily. You can also strike his vital spots, like his eyes, throat and sexual organ. But of course you stop an inch from target. This entry was posted in baguazhang, Chi Kung, chin na, chin-na, Grandmaster Wong Kiew Kit, internal force, Kung Fu, question-answer, Shaolin, Shaolin Wahnam, spiritual cultivation, stance training and tagged baguazhang, chi kung, chin-na, Grandmaster Wong Kiew Kit, internal force, Kung Fu, QUESTIONANSWERS, Shaolin, Shaolin Wahnam, spiritual cultivation, stance training on July 25, 2017 by Wei Joo Lee. WHY IS SHAOLIN KUNG FU MORE EFFECTIVE IN COMBAT THAN OTHER MARTIAL ARTS? Why is Shaolin Kungfu more effective in combat than other martial arts? We can derive a good answer from my own experience. In my younger days, as now over 70 I still consider myself young, I actually went out to look for sparring opponents to test my combat efficiency. I soon discovered that when I used techniques which were also found in other martial arts, like Black Tiger Steals Heart which is a thrust punch, and Happy Bird Hops up Branch which is a side-kick, my opponents of other martial arts could defend readily. But when I used techniques not found in their martial arts, like Lohan Tames Tiger and Rising Dragon and Galloping Tiger, my opponents would have difficulty defending. The underlying philosophy, which occurred to me not at the time of sparring but much later, was quite obvious. If techniques A, B, C, D were found in their martial arts, and you used A, B, C, D against them, they would know how to defend. If techniques P, Q, R were not found in their martial arts, and you used P, Q, R against them, they would not know how to defend. When you attacked your opponent, you must make sure he could not attack you at the same time. This was not difficult for me because “safety first” was a cardinal principle in my kungfu training. I always covered my opponents before attacking them, and as I used attacking techniques that they did not know, I always beat them. Skills are more important than techniques in combat. Even when your techniques are superior, but if your opponent is more skilful, like he is faster and more powerful, he will still beat you. I did not realise this important principle at first. I only differentiated between skills and techniques much later. But I overcame this problem because initially I chose opponents who were of a same level as or lower level than me. Later when my combat skills improved, but still without consciously knowing the difference between skills and techniques, my choice of opponents became more liberal. Another very important factor in combat is force, especially internal force. When I had developed remarkable internal force, I found that I could not only defeat opponents more easily but also opponents who were younger and bigger-sized than me. A significant factor contributing to victory in combat is the application of tactics and strategies, which are rich in Shaolin Kungfu but not frequently found in other martial arts. At first I was unaware of combat tactics and strategies, but they were already incorporated in the combat sequences I used. Later with better understanding of combat tactics and strategies, my combat efficiency improved. Hence, the many reason why Shaolin Kungfu is more combat effective than many other martial arts are a rich range of combat techniques not found in other martial arts, the focus of developing skills in genuine Shaolin training, the development and use of internal force in combat, and the application of combat tactics and skills. What benefits you can find in Shaolin Kungfu that cannot be found in other martial arts? 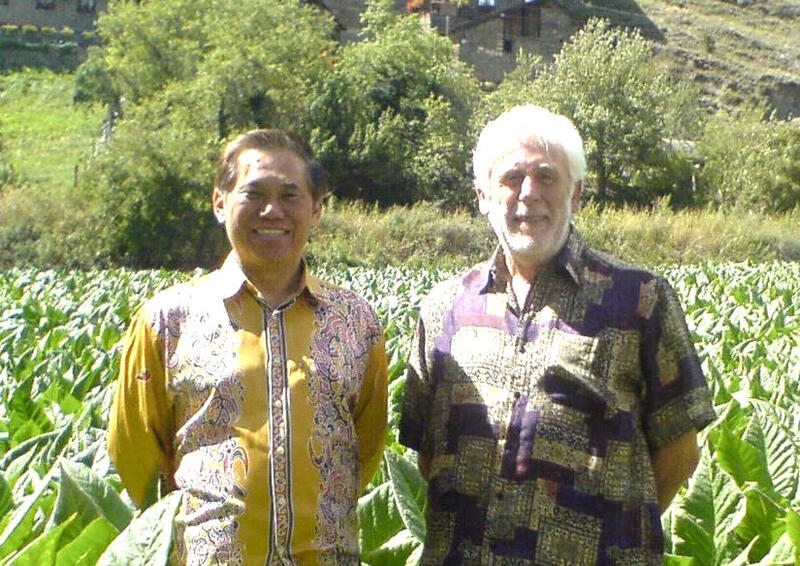 An excellent answer was supplied by Kai (Sifu Kai Uwe Jettkandt, Chief Instructor of Shaolin Wahnam Germany), who was already a world known martial art master and an international all-style free sparring champion before he learned from me. 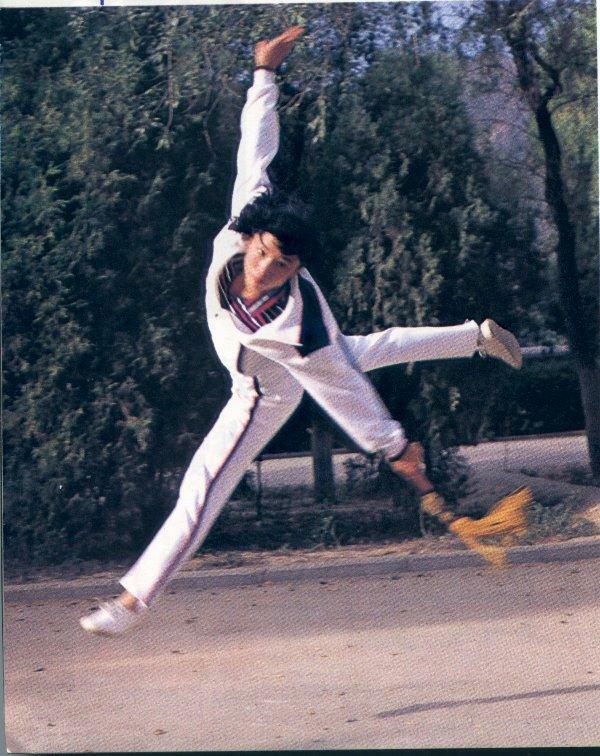 Kai told many Shaolin Wahnam members that he practiced Shaolin Kungfu because it fulfilled to a very high-level all the three attainments he looked for in any martial art — good health, combat efficiency and spiritual cultivation. Kai explained that many martial arts were good for fighting but bad for health. Some martial arts were good for health, but not effective for combat and lacked spiritual cultivation. Shaolin Kungfu has all these attainments to a very high level. One can have these three attainments irrespective of his age. In many other martial arts, as a person ages, his health and combat efficiency are affected. But in Shaolin Kungfu, a practitioner actually becomes healthier and more combat efficient. Many Shaolin Wahnam members told me that they were healthier and fitter at 50 than they were at 30. In many other martial arts, as a person becomes older, his strength and stamina become weaker, and therefore his combat ability is less efficient. But due to internal force which is independent of age, size and gender, and which also contributes much to his health, vitality and longevity, he becomes more combat efficient as he grows older. Shaolin Kungfu is extremely rich in philosophy, which records the essence of centuries of past masters. Not only the combat tactics and strategies enable present Shaolin practitioners to be more combat efficient, its philosophy enriches their daily life. Not many people may realize that Shaolin Kungfu and Taijiquan are the only two martial arts that originated from spiritual cultivation. All other martial arts gear towards fighting. Bodhidharma, the first patriarch of the Shaolin arts, and Zhang San Feng, the first patriarch of Taijiquan, practiced their arts to attain Zen or Tao, which in Western language means return to God the Holy Spirit. This entry was posted in Grandmaster Wong Kiew Kit, internal force, Kung Fu, kung fu sparring, question-answer, Shaolin, Shaolin Wahnam, spiritual cultivation, strategies and tagged Grandmaster Wong Kiew Kit, internal force, Kung Fu, kung fu sparring, QUESTIONANSWERS, Shaolin, Shaolin Wahnam, skill, spiritual cultivation, strategies on February 21, 2017 by Wei Joo Lee. What is the difference between spiritual cultivation and morality, and between spiritual cultivation and religious education? Spiritual cultivation is cultivating the spirit. Morality is practicing high moral values. Religious education is being knowledgeable in religions matters. They are all different, though related; just as an orange is different from an apple, and an apple is different from a pear, though they are all fruit. Many people, however, do not realise the difference between spiritual cultivation, morality and religious education, though they can tell the difference amongst an orange, an apple and a pear. Some people may be highly cultivated in spirit, but lack morality and may not believe in a religion. Black magicians are examples of highly cultivated in spirit but lack morality, and even if they believe in a religion they do not practice it, as all religions teach people to do good. Asuaras, who are powerful supernatural beings, are highly cultivated in spirit but lacking in morality and do not practice the good teaching of religion. Some people with high moral values, like they are compassionate and caring, but may not be spiritually cultivated. For example, they are afraid of ghosts, which show that their spirit is week. They are usually religions, from whose teaching they develop high morals, but some may not believe in any religion. Some who know a lot about religion may not be spiritually cultivated. They are depressed, for example, which shows that their spirit is not high. Some may use religion to cause harm to society. Nevertheless, highly spiritually cultivated persons usually have high morals. Not only they know much about religion, they celebrate with followers of other religions. This entry was posted in Grandmaster Wong Kiew Kit, question-answer, Religion, Shaolin Wahnam, spiritual cultivation and tagged Grandmaster Wong Kiew Kit, QUESTIONANSWERS, religion, Shaolin Wahnam, spiritual cultivation, spirituality on January 17, 2017 by Wei Joo Lee. The bottom line of my definition is that the kungfu he has learnt must be capable of being used for fighting, even if he loses the fight. The crucial point is that his kungfu forms are more than sufficient for his self defence; he needs not borrow or “steal” other martial art forms, and he should be able to defend himself in a typical kungfu manner. Bouncing about as in boxing and kicking high as in taekwondo, for example, are not typical manners in kungfu fighting. Some Eastern martial arts like aikido and karate mention about internal aspects like chi (or ki in Japanese), but their exponents do not spend as much time or go as deeply as typical kungfu exponents do in these internal aspects. A typical traditional kungfu exponent, for example, may actually spend more time practising Abdominal Breathing or Stance Standing (zhan zhuang) than practising patterns or sets — a practice that is not normally found in most other martial arts or modern demonstrative, debased kungfu forms. The best kungfu, like Shaolin and Taijiquan, goes beyond the physical and leads to spiritual cultivation irrespective of race, culture and religion. The onus of spiritual cultivation is direct experience, not mere talking or book learning, and is practised according to the students’ developmental levels. This entry was posted in Grandmaster Wong Kiew Kit, internal force, Kung Fu, question-answer, Shaolin, Shaolin Wahnam, spiritual cultivation, stance training and tagged Grandmaster Wong Kiew Kit, internal force, Kung Fu, QUESTIONANSWERS, Shaolin, Shaolin Wahnam, spiritual cultivation, stance training on June 14, 2016 by Wei Joo Lee.